It's a name that might be a bit foggy to you, almost like that excellent character actor that you see in 9 out of 10 films you watch. Rita Coolidge is that guy. Well... she's not a guy of course, but an absolutely stunning woman with an enchanting voice to match. Coming up as a backup singer for the likes of Bonnie And Delaney, Joe Cocker, and just about everyone else of that era, Coolidge really hit paydirt when she ventured out on her own. With hits like "(Your Love Has Lifted Me) Higher And Higher," "We're All Alone," and the Bond theme "All Time High," Coolidge proved herself more than worthy of stepping forward and taking center stage. Let me preface all of the following words with the fact that I made a choice of purchasing the audiobook version. I find this to be of major significance, simply because Ms. Coolidge herself takes you on her journey. I have listened to a good many autobiographies on audiobook and I often wonder about certain passages and phrasings. Is the narrator reading it the way it was intended? Are they putting more emphasis into things than the actual writer would? These are questions that I have each and every time I listen to something that isn't read by the author. There are no questions here. You hear the loving tone in Coolidge's voice as she speaks fondly. You hear the pain in the stories of tragedy. I think having Coolidge as the narrator is a huge added appeal to this sensitive and revealing memoir. As I was listening, I felt like I was on tour with Joe Cocker. I felt like I was in the corner of the room during her marriage to Kris Kristofferson. Not only does Coolidge put you in the setting, but she straps you into her emotional rollercoaster. Hearing the joy in her voice as she heard her hit "(Your Love Has Lifted Me) Higher And Higher" on the radio the first time, hearing her speak so fondly of Graham Nash and their very special relationship, and hearing the pain of so many of her tragic times makes this book play out like an Oscar-winning film. Some of the more fascinating stories come when she puts us in the room of the Stephen Stills "Love The One You're With" recording session. You can almost hear the voices as she describes it in full detail. The story of her relationship with Graham Nash and the deceiving persona of Stephen Stills is eye-opening and insightful. And maybe the best story of all is how she wrote the piano melody that makes up the second half of Clapton's signature song, "Layla". She walks us through the entire history of the song she constructed with drummer Jim Gordon called "Time". Gordon took the melody to the Derek and The Dominoes sessions and claimed it as his own, which denied Coolidge a deserved songwriting credit on one of the most popular songs of all time. It's hard to look past the tragedy that falls upon Coolidge at what seems to be every turn. Aside from failed relationships that include physical and emotional (and drug) abuse, we get stories of miscarriage and murder as well. Behind all of the devastating tragedy though, Coolidge somehow keeps the spirits high after the dust settles. She talks about forgiveness and gives credit where credit is due, regardless of what that person might have done to her. The class and elegance she shows here is what really shines throughout the book. 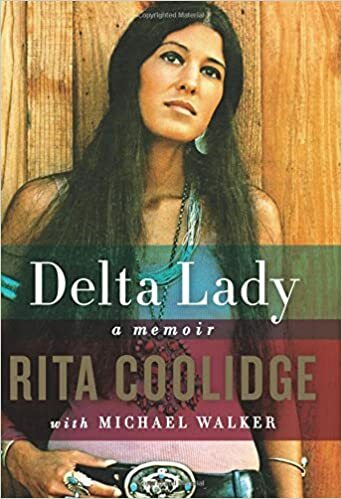 I view Rita Coolidge as one of the toughest, gentlest, and classiest people in the business. I appreciated her candor when talking about the tough times, but I think I most appreciate her sharing her upbringing, especially the lives of her parents and grandparents. The love and light of those stories transcends all of the heartache to make for an overall positive experience. I see Rita Coolidge as someone who is pleased with her life. She has remained true to herself and has tried to make good choices. And even though she may not have made all the right choices throughout her life, she seems to take responsibility for those choices and chooses to be happy within her skin.